Prof K Nageshwar : United India rally & Mamata Banerjee's PM ambitions ! Prof K Nageshwar : United India rally & Mamata Banerjee’s PM ambitions ! The Congress top leadership is conspicuous by their absence at the United India rally in Kolkata. Mayawati sends her representative, as well, and KCR remained aloof despite his ‘federal’ overtures to the Trinamool Congress chief. Naveen Patnaik is unconcerned with the mega Opposition rally in his neighbouring state in the name of being ‘equidistant from the BJP and Congress’. 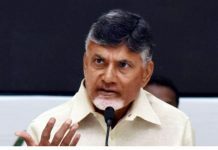 The CPM cannot obviously be part of Mamata’s show as it is still the bitter rival, and YS Jaganmohan Reddy is not even invited as his main opponent Chandrababu Naidu steals the show, at least from the south. Thus, the Kolkata rally is more to do with Mamata Banerjee’s prime ministerial ambitions rather than catapulting the non-BJP regime at the Centre. Besides, her aversion towards the BJP is a result of the saffron surge in West Bengal subsequent to the steep decline of the left. Most Opposition parties agreed to dislodge the Narendra Modi-led BJP for reasons specific to them. However, the chinks in the Opposition camp come to the fore on the question of the whether the Congress would lead such a national coalition. When the DMK chief pitched Rahul Gandhi as a prime ministerial candidate, the Trinamool chief was not too keen on endorsing the proposal. She said that this can be discussed only after the 2019 polls. 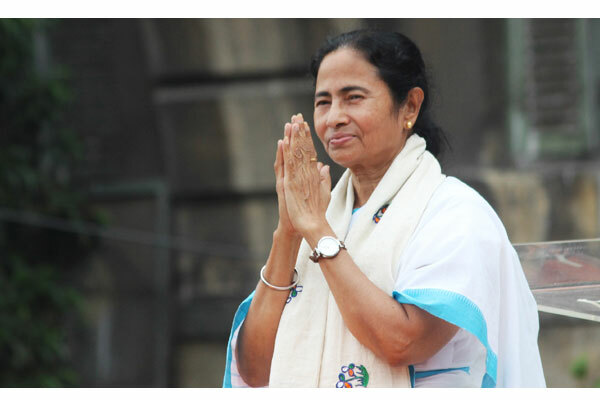 The West Bengal has 42 Lok Sabha seats, and she is expecting a win in at least 40, improving her 2014 tally . If she can do so, which is highly likely, the Trinamool Congress will have largest number of Lok Sabha seats than any regional party, next only to the Congress in the non-BJP camp. The Samajwadi Party and Bahujan Samaj Party (BSP) decided to contest 38 seats each. No other regional party will contest in 40 seats, leave alone winning such a number of seats. This is the empirical basis for Mamata Banerjee’s prime ministerial ambitions. The possible contenders from the regional camp are Mayawati and Naidu. But with the BSP loosing much of its shine and Naidu’s clout reduced due to bifurcation and possible anti-incumbency, Mamata remains the potential nominee for the highest post. Therefore, she is keen on capitalising the reservations some parties have towards the Congress leading the anti-BJP camp post 2019 . The massive mobilisation she resorted to in Kolkata was to show her strength rather than the antipathy towards the saffron brigade. Furthermore, the manner in which she has been treating the Congress in her own state is believed to be the reason for the Sonia Gandhi and Rahul Gandhi’s absence at the rally. This is why regional parties like the Trinamool Congress and Telugu Desam Party (TDP) are interested in allying with the Congress in Delhi rather than Kolkata or Amaravati. 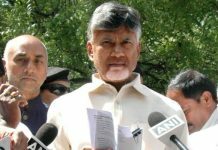 In the wake of the humiliating defeat of the People’s Front in the Telangana Assembly elections, the TDP and the Congress are sceptical of forging an alliance at the state level again. The Samajwadi Party and BSP, who have already finalised their seat-sharing formula leaving the Congress out, expressed similar apprehensions. Yet they are not averse to join hands with the Congress if the post-poll arithmetic demands. The Rashtriya Janata Dal’s (RJD) support to the SP-BSP combine despite the absence of the Congress indicates an unease in the Bihar mahagatbandhan. It is very clear that the regional parties in whose domain the Congress is a weak force do not wish to fight the elections under Rahls’ leadership. This is for two reasons: The SP or BSP do not want to give Congress a chance to revive itself in their home state, and they are not sure of being able to stall the Modi juggernaut if they fight under the leadership of the Congress and Rahul. Of course, most of these regional and smaller parties have earlier been part of the BJP-led National Democratic Alliance. The TMC, TDP, Asom Gana Parishad, etc, are a few such examples. By rallying behind the Congress in the pre-poll arena, they, perhaps, would not want to foreclose the option of joining the BJP bandwagon if the post-poll arithmetic so warrants. The ideological pusillanimity of these regional parties validate such an interpretation. Then there are other parties like the Telangana Rashtra Samithi (TRS), Biju Janata Dal (BJD), YSR Congress, AIADMK, etc. There are party-specific reasons for their absence at the Kolkata show. 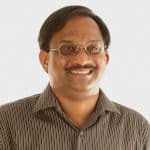 The AIADMK transformed into a proxy of the BJP after the demise of its leader, former chief minister J Jayalalithaa; The presence of the TDP makes the YSR Congress an outsider to any such opposition conglomeration; the Congress being the main opponent for both the TRS and BJD in Odisha, the anti-BJP and anti-Congress slogan perfectly fits into their political narrative. That’s why KCR was absent also at the Bengaluru Opposition meet marking the swearing-in ceremony of Karnataka chief minister HD Kumaraswamy. 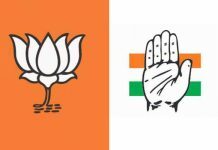 Parties like TRS, YSR Congress and BJD, which now talk about a ‘federal front’ are more opposed to the Congress than the BJP, indicating how qualitatively different they are from the political perception of parties like the TMC , TDP, SP or BSP. Therefore, the grand gala show at best is likely to end up as yet another photo opportunity for those who are critical of Modi for their own specific reasons than a common cause. The devil, in fact, lies in the details of arriving at workable anti-BJP arrangements at the state level, driven by both the electoral arithmetic and political chemistry of that region.